How Long Will He Keep Drinking? When families are dealing with a loved one who is locked into addiction they naturally want to know how long the insanity is going to last before the person decides to get help. The truth is, some alcoholics and addicts never do seek help, but for those who do, years can go by before they decide a change is needed. On average, adults take 15.6 years from first use to seeking treatment, but the time varies greatly depending on the drug of choice and other factors. A Substance Abuse and Mental Health Services Administration (SAMHSA) report, "Length of Time from First Use to Adult Treatment Admission," tracked 669,000 adults who were admitted to substance abuse treatment programs in the past year. The study found that the type of substance abused and demographic factors can vary the time between first use and first treatment, but in almost all cases, several years pass before treatment is sought. For example, the average time between first use of a substance and first treatment for males is 16.5 years, but for females it is 13.8 years. The average time from first use to treatment for Asian Americans is 13.3 years, but the average for Native Americans is 17.4 years, the study showed. These averages were derived from information in SAMHSA's Treatment Episode Data Set (TEDS) 2002 - 2012, National Admissions to Substance Abuse Treatment Services that tracks all patients who are admitted into drug and alcohol rehabilitation programs in the United States. While people who have a problem with prescription drugs will seek treatment in less than eight years, those who are addicted to illegal drugs like cocaine and heroin will wait from 12 to 14 years to seek treatment. It probably comes as no surprise that the group that puts off seeking treatment the longest are alcoholics. 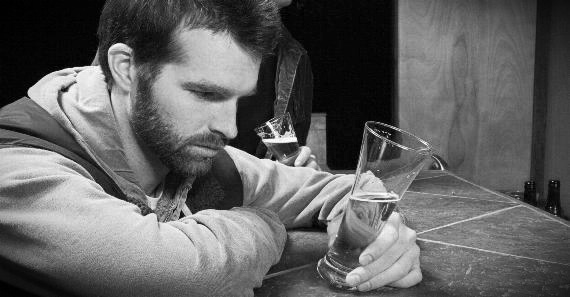 Those with an addiction to alcohol typically continue to drink for 20 years or longer before seeking help. "This study shows that the damaging consequences of substance abuse can often be undetected or unacknowledged for many years – undermining many aspects of peoples' health and well- being, as well as the lives of those around them," said SAMHSA Administrator Pamela S. Hyde in a news release. Hyde said prevention and intervention programs that could cut short the time before people seek treatment would save addicts and their families years of needless suffering. Source: Substance Abuse and Mental Health Services Administration. "Length of Time from First Use to Adult Treatment Admission." Treatment Episode Data Set October 2011.